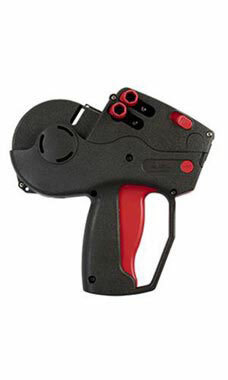 The Monarch® Model 1136 is one of the most popular 2-Line Pricing Guns. It's built for long-lasting, durable performance, enduring years of rigorous testing. The result: A lightweight, lightning fast, "click and stick" pricing gun. With the Monarch® 2-Line gun you can clearly mark all merchandise on price labels. It prints two lines with 6 numeric characters on each line. It comes with a standard 1-year factory warranty, providing you with guaranteed satisfaction.